During the 1600s, the inhabitants of Pesariis, a small mountain village in Friuli Venezia Giulia, learn the art of clockwork on their commercial journeys to the Black Forest. The Solari brothers become the most accomplished craftsmen in the area and in 1725 they establish a company producing “tower clocks”. In the following two centuries, their masterpieces enhance Italy’s most beautiful squares. Business is good, but this brings internal disagreements, so brothers Fermo and Remigio, ever keener on experimenting on new ventures, decide to break off from their cousins and move to Udine. Here Remigio, a mechanic and an inventor, patents the flap system clock: a device meant to revolutionize the way we view time. Its success is immediate, like his intuition to use the new technology on information panels in railway stations and airports. Fermo, younger but just as business-oriented and volcanic-minded, contacts architect Gino Valle and asks him to design the new alphanumeric indicators: orders soon get in from all over Europe and Solari di Udine starts turning into an international company. The definitive validation arrives in 1962 with the creation of New York’s JFK’s system and the Compasso d’Oro award: the flap display is a hymn to modernity, thanks to its ability to communicate in an immediate manner to millions of people. Flaps introduce a subtle and elegant communication network: their sound reminds an unraveling book, creating a mood of anticipation, attracting the travelers’ attention to the news displayed on the board, and grouping them in an ideal time frame made of sprints, suitcases, exotic destinations; all perfectly synchronized. As well as the collective vision systems, Fermo asks Valle to design a version for office life: thus Cifra 5 is born, originator of the series and Compasso d’Oro award in 1956. 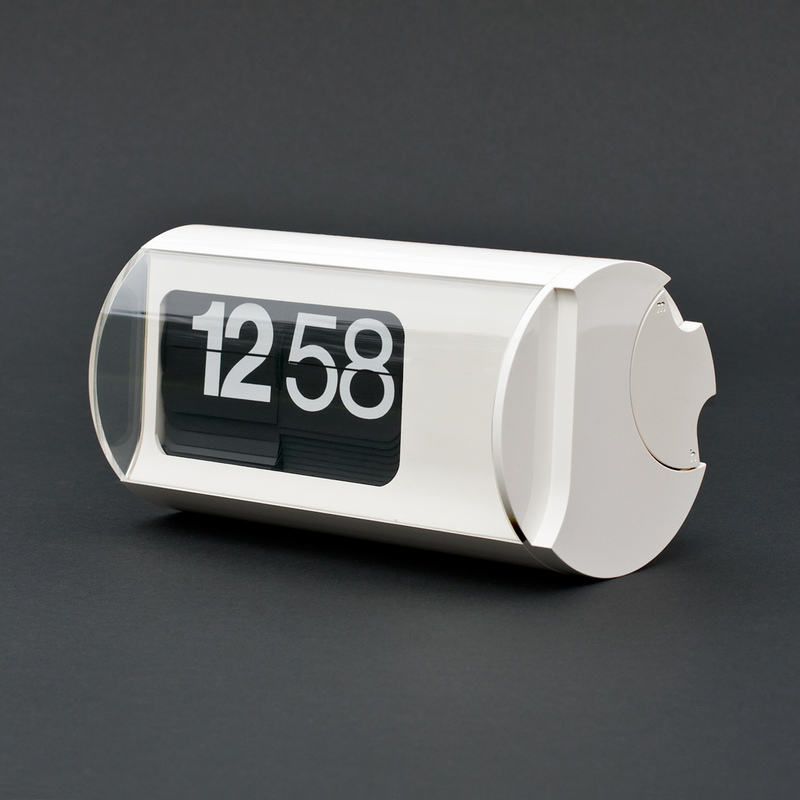 Ten years later, with Cifra 3, Valle creates the smallest clock of the series: the cylinder on which the flaps revolve becomes the axis of the whole design. Massimo Vignelli, Valle’s brother-in-law, takes care of the lettering, developing different typefaces for hours and minutes and adjusting the Helvetica font via slight optical changes. The result is a wonder of function and aesthetics, capable of giving life to an evergreen icon and overcome a novel challenge: channeling the flux of time, and transforming an indistinct rhythm into a masterpiece of complex simplicity.